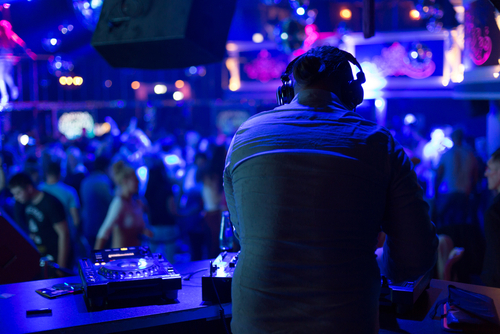 There are many reasons why a lot of nightclubs close, but one of the most common a nightclub management consultant will evaluate is employee theft and pilferage. Sometimes, these involve brazen acts like stealing bottles of alcohol from the club’s inventory and bringing them home; in many cases, it involves stealthy tactics like short pouring (i.e. under-portioning drinks to have plenty of leftovers, which the staff can then later sell for their own profit). You won’t be able to pinpoint exactly which employees would steal from you, but you can choose the people you’d hire. Do a background check to know if job candidates have any history of stealing or any other misdemeanors. Contact their previous employers to get their feedback and, if they have worked at several bars, find out why this is so. Taking these steps can be time-consuming, but it can save you from the hassle of hiring people who have no qualms about stealing from their employers. Teach your staff how to properly pour drinks so they won’t over-pour and unintentionally (or even intentionally) give your bottom line away. You must also include stealing and its consequences in your employee manual and ensure that both new hires and existing staff are aware of the rules. Check up on the nightclub on a regular basis (or have a trusted nightclub management consultant do it) to let your employees know that they’re being monitored. In many cases, CCTVs can deter staff from stealing simply because they know their actions would be caught on camera. If you have employees who are brave enough to push through with theft, you’ll at least have video evidence that you can use to file charges against them. This is one of the best ways to find out if you’re being stealthily robbed by your staff or not. By checking your inventory on a regular basis, you can compare the number of bottles you have on hand and the number of bottles and shots you’ve sold — and find out if there are any anomalies between them. You’ll also be aware of what your baseline costs are and easily identify any sharp spikes (which can indicate theft) in your overheads. It’s important to know the ways through which your staff can steal from you. Armed with this knowledge, you’ll know what warning signs to watch out for and what steps you can take to prevent theft. One of the most common maneuvers is substitution, in which an employee uses cheaper liquor when making mixes and charges customers premium prices so he could pocket the difference. Another is what bartenders call “tapping up”, in which they add water to liquors to negate the amount of alcohol they steal. These are some of the steps you can take to control employee theft and pilferage. To get more tips, don’t hesitate to seek the help of a nightclub management consultant such as Perry Group International. With our expertise in the hospitality industry, we can assist you in maintaining a good bottom line and if we aren’t able to help you for any reason, we can assist you in finding a company that can.